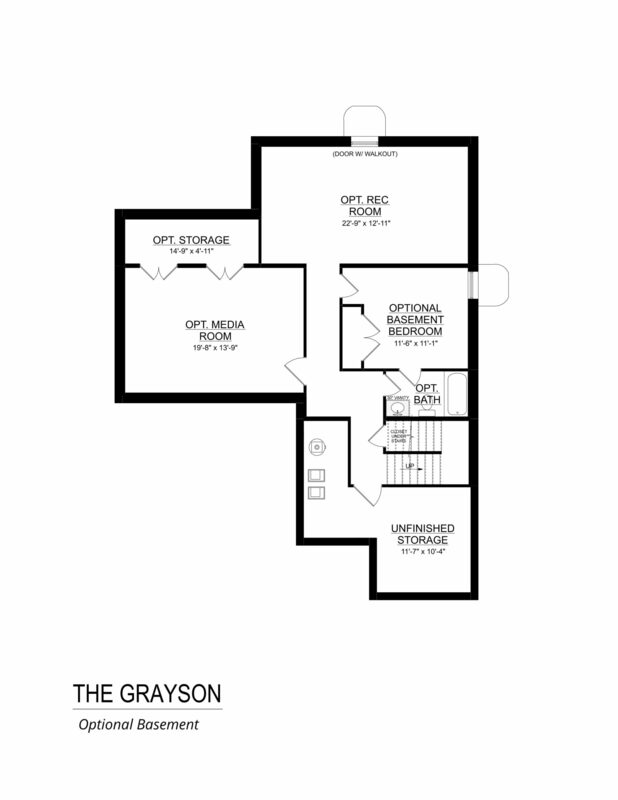 The Grayson home style features main level living with a master suite, kitchen, laundry room, great room and flex/study on the main level. 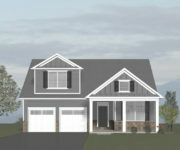 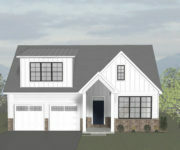 Two additional guest bedrooms, a full bath, and a multi-use loft space round out the second floor. 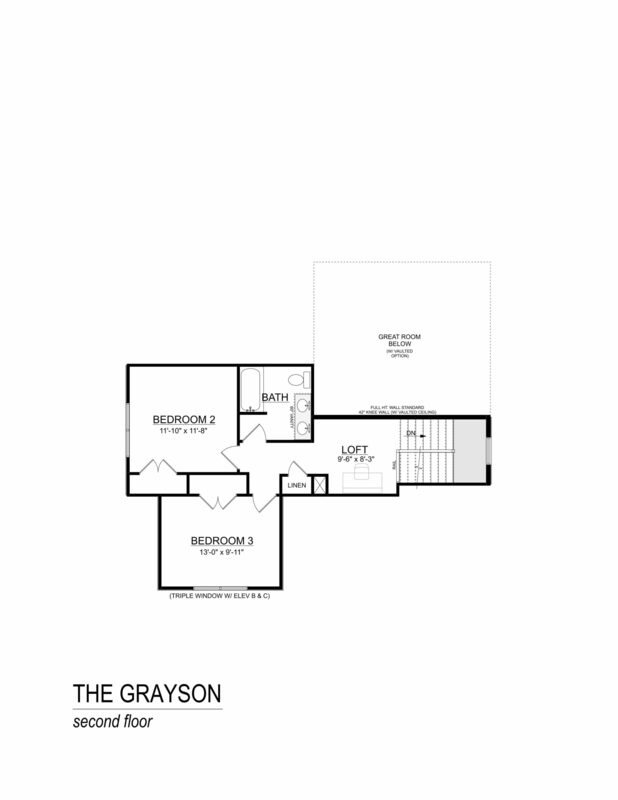 The gourmet kitchen features granite countertops, maple cabinetry, and stainless steel appliances. 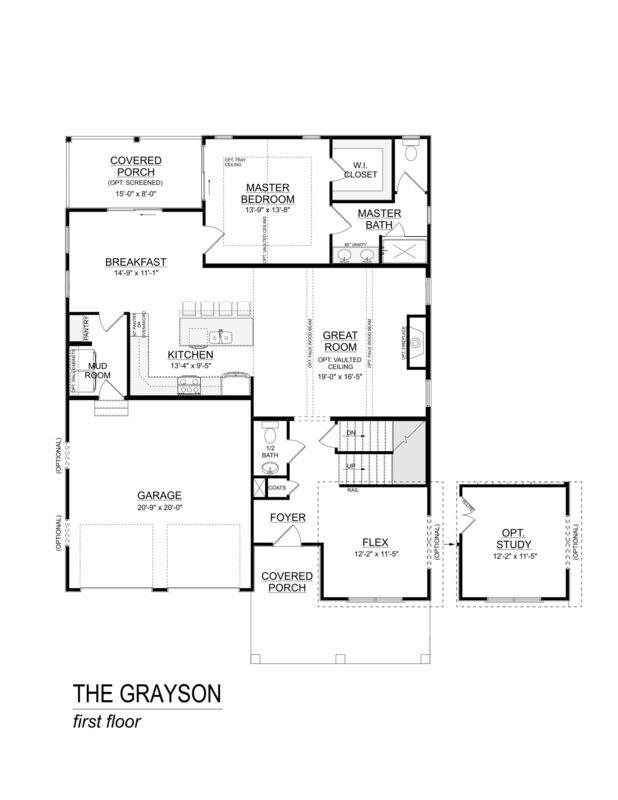 This open floor plan design offers nine foot ceilings with vaulted ceiling options. 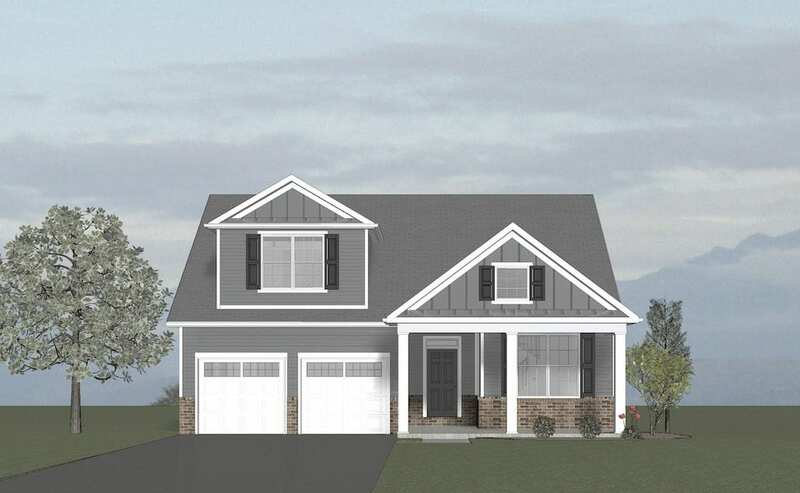 An available gas fireplace and screened back porch compliment this stunning home. 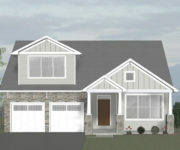 Basement options available.